Thank you for such a wonderful stay at Villa Garda during our time in Cape Town. We truly felt a 'part of the family' because your hospitality was fabulous. 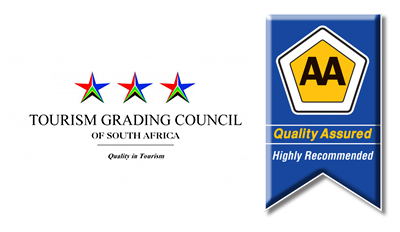 We will gladly recommend Villa Garda to friends who may be thinking of visiting Cape Town in the near future. Hi Villa Garda (Freddie, Sharon, Keira and Elias)!!!!! We wanted to thank you again for your taking such good care of us while we were there. It was nice to have a warm place to stay during our visit and you have a great home!. We've attached a few pics we thought you might enjoy!. We pray things are going well for you! A hidden jewel in Cape Town. So close to everything yet a little oasis in the City. Especially good for us as we were attending the Groote Schuur hospital. Sharon, Freddie, Thandeka and the dogs made our stay extra special! Thank you thank you. We would love to come back again. Love Laura & Pete, Sydney, Australia. We had the best time in Cape Town! Your hospitality was fantastic. We felt like we were visiting friends. I want to wish you both the very best for your future. Thank you very much for the stay in your lovely and warm house. It’s been a pleasure to come here and have found your hospitality. The time we have spent here flew so fast we wouldn’t say it’s been two weeks. Thanks a lot , hoping to hear from you and see you again. Your warm welcome, the joy of being with Keira, meeting your friends, walking on the beach, sunset on Signal Hill and the wonderful evenings of laughter around your table - being part of your life this week has been a memorable part of our stay in SA. Great place and Freddy is a warm, welcoming and extremely helpful host who went far more than the extra mile to make our stay pleasant. Thanks for a wonderful stay, home from home. Thanks for sharing your home so freely and lovingly. You’ll see us again. “Thanks for your support and encouragement. Thank you for a hearty stay at Villa Garda. We enjoyed your hospitality and friendliness. You’ll see us again. All of the best!